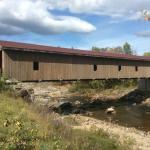 This wooden covered bridge spans 175 feet over the east branch of the Ausable River in Jay. 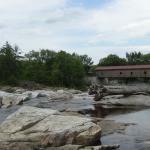 It was constructed in 1857, and completely restored in 2007. It is now part of Douglas Memorial Park complex with picnic tables, covered pavilion, and benches throughout, giving incredible views of the river and Jay Rocks, an amazing array of sandstone for swimming and photo opportunities. 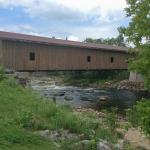 See our blog, Taking a dip into history at the Jay Covered Bridge, for more.